Birubi........ Aboriginal word for "The Southern Cross"
This is just my second scratch built track. After the success of Warwick Farm International, I thought I should follow it up with another track. This time I chose a fantasy track, mainly because many of the tracks I was planning have already been started by other track builders. With a great amount of guidence from Hugh Jarse..... Lord knows I think I drove him mad..... Birubi has become a reality. Hugh Jarse's help has been inspiring and creative and I thank him for his patience. Birubi offers challenges to all types of drivers. There are many overtaking places where drivers will have to defend their track position. 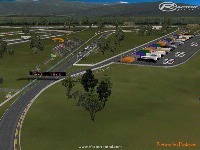 The complex of turns 5 and 6, will have even the most experienced drivers worried. I have included night lights around the track so leagues can run "good length" endro races. To sum up, I have enjoyed bringing Birubi to Life. I hope you enjoy it as much as I. There are currently no setups for Birubi. Add a Setup. If there's some problem with profesor in uploading this track, you can contact me. How can I download this - there are no links!!! Hi, I tired to follow the link to rapdidshare but it is coming up saying the track is not available. Do you have another download option, I dont have much luck with rapidsahre ever. Mega Upload works well. Thanks, the track look awesome from the images and comments, cant wait to drive it. 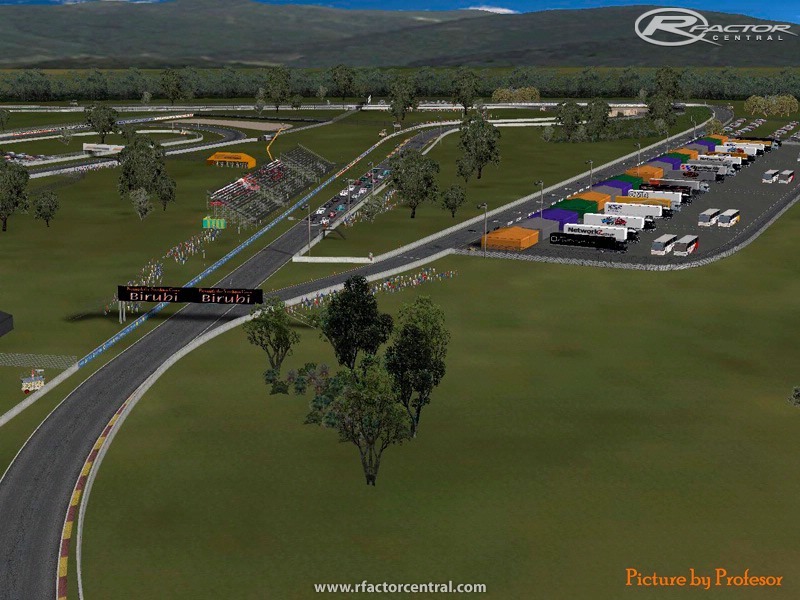 OK, what some people have done is extracted the Birubi1.01 folder straight into the locations folder in rfactor....wrong move...lol.... inside the birubi 1.01 folder is Birubi. that folder is the one that should be copied into the location folder. I left the SCN file as it was and followed your installation instructions. When I try to load it on the Dedi-server it just stops and crashes. What did I miss ? Please do not change the scn file.